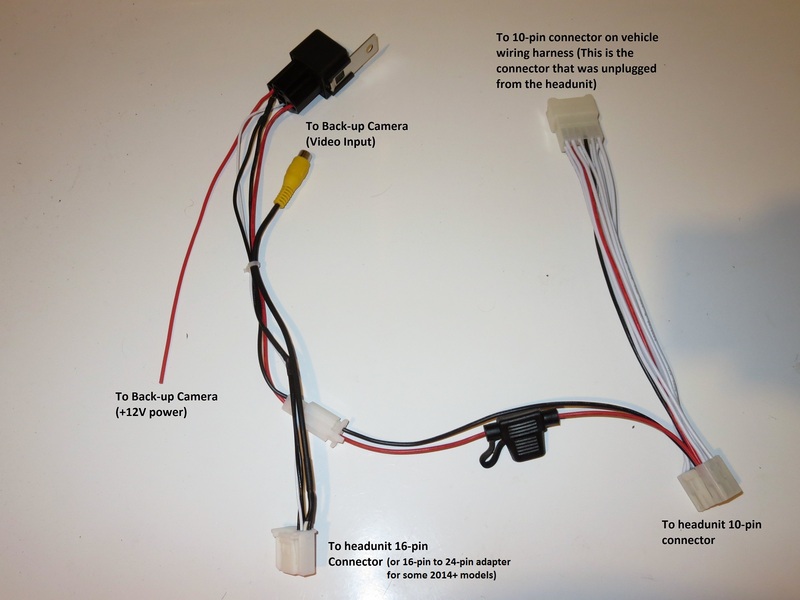 Add a backup camera to your car or truck! 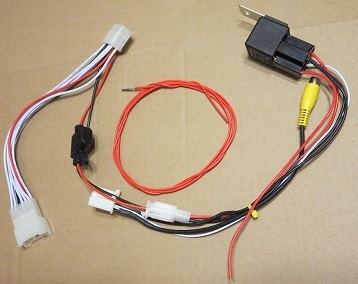 This harness connects a 12-volt Backup Camera to the stock Toyota/Subaru/Scion head unit. The stock head unit is wired with a 6-volt output. This harness uses a 6-volt relay and the 12-volt accessory power provided to the stock head unit to provide a 12-volt output and composite video input for any standard automobile backup camera. The harness connects in the place of the 24-pin connector pictured here. The harness is 100% plug and play. No splicing the stock wiring harness. Does not disturb stock appearance. The only exception is the Reverse Trigger Wire. Most vehicles have this wire pre-installed. 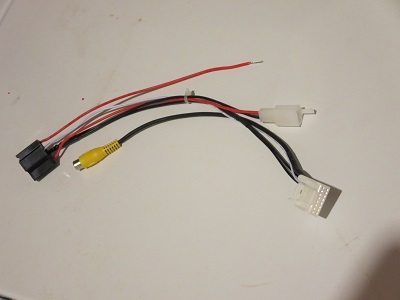 If yours does not, the included pin slides into the stock connector, but the wire other end of the wire must be spliced to a reverse signal(such as the reverse light or the signal wire located in the driver's side kick panel). A splice connector will be included for completing this connection. What model is your vehicle?